There are plenty of great restaurants in Seminyak Bali, from the fine dining restaurants found in the luxury hotels and resorts to the more laid back and relaxed cafes and restaurants along the streets of Seminyak. Here is a selection of the best restaurants in Seminyak. 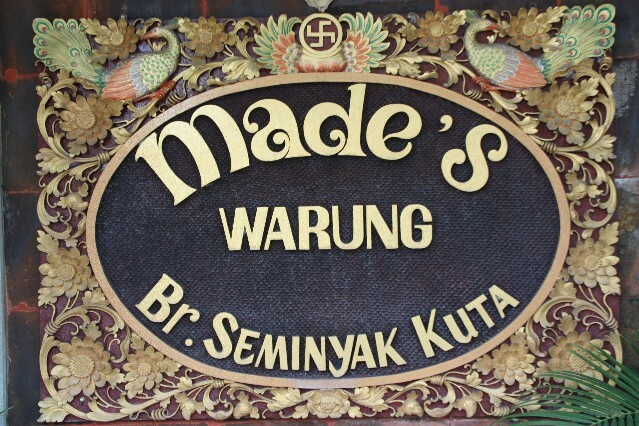 Made's Warung (1 review) established in 1969, serving Indonesian, Balinese, Thai, Japanese and Western food. Located on Jl. Raya Seminyak. With free WiFi internet access. Tel: (0)361 753 039. 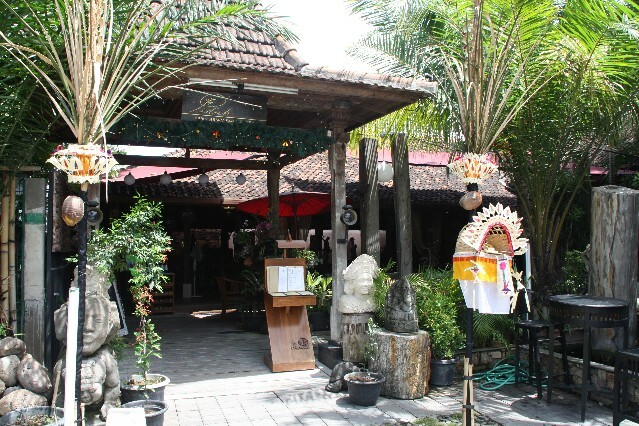 For more photos and restaurant reviews for Made's Warung Restaurant Seminyak click here. 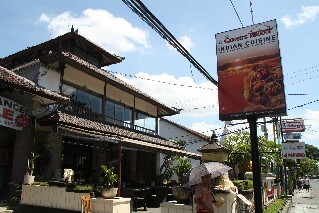 Chandi Restaurant(reviews) Jalan Laksmana 72 Seminyak Bali Ph: (0361) 731 060. Serving a range of traditional Balinese food, Asian cuisine and Chinese Dim Sum / Yum Cha. Open 7 days a week from 12 noon to 12 midnight. For photos and restaurant reviews for Chandi Restaurant click here. Nirvana Restaurant (reviews) Jalan Laksmana 50B Seminyak Bali Ph: (0361) 736 270. Serving a range of Indonesian food and International food. Open for breakfast, lunch and dinner 7 days a week. Free entertainment including Fire Dance every night at 7.30pm.For photos and restaurant reviews for Nirvana Restaurant click here. 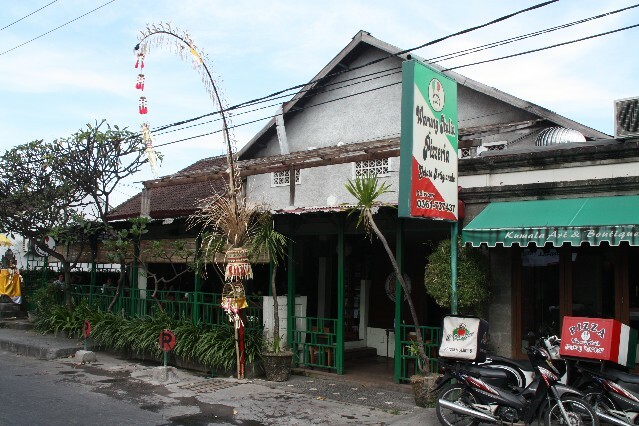 Bale-Bali Warung (reviews) Jl. Kunti 48 Seminyak has been serving great Chinese and Asian Fusion food since August 2000. 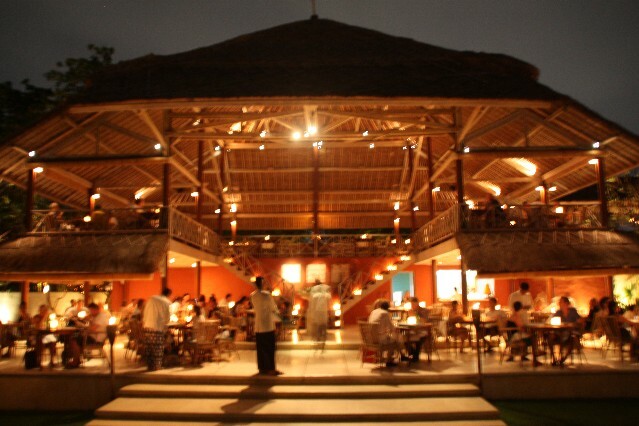 Ph:(0)361 732 731.For restaurant reviews for Bale-Bali Warung Restaurant click here. 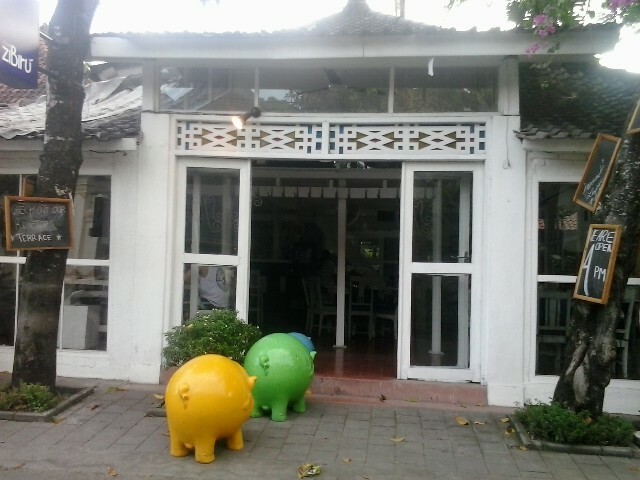 Piduh Restaurant (reviews) Jalan Petitenget No 18d Seminyak Ph: +62 361 922 1918. Located in the northern end of Seminyak. Serving great Balinese and Indonesian seafood and pan Asian cuisine. Open for lunch and dinner 7 days a week.For more photos and restaurant reviews for Piduh Restaurant click here. 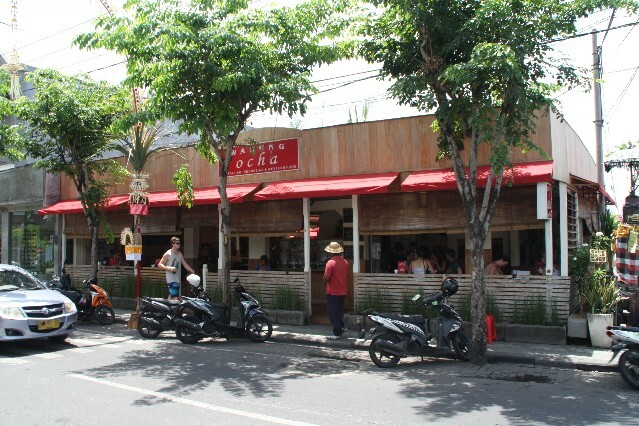 Warung Ocha Indonesian Restaurant (reviews) Jalan Raya Seminyak No 52 Seminyak Ph: +62 361 736 222. A popular restaurant serving Indonesian and Western food.For restaurant reviews for Warung Ocha click here. 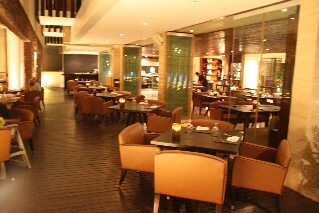 Breeze Restaurant(reviews)at The Samaya, Jl. Laksmana Seminyak serves Asian Fusion food including great Thai and Japanese dishes. A very romantic restaurant with great decor including traditional Japanese lanterns. Ph: (0)361 731 149. Formore photos and restaurant reviews for Breeze Restaurant Seminyak click here. Mannekpis Jazz Blues Bistro (1 review) Jalan Raya Seminyak No 2 Ph: +62 361 847 784. Open for lunch and dinner 7 days a week. Live music every night. 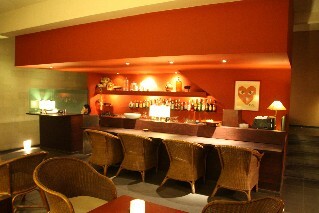 Located in the heart of Seminyak, serving Belgian and International food and drinks. For more photos and restaurant reviews for Mannekpis Jazz Blues Bistro Restaurant click here. 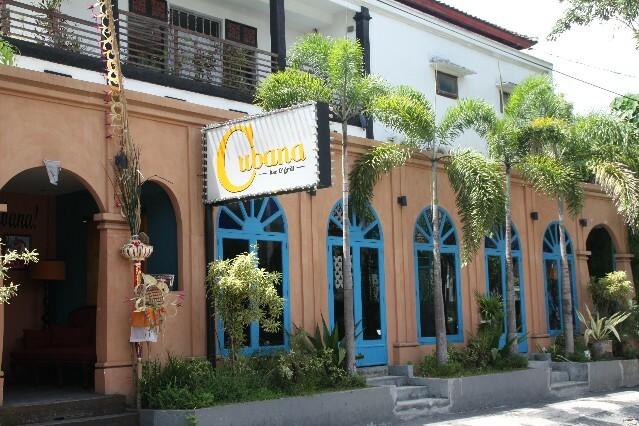 Cubana Bar & Grill (1 review) Jl Raya Petitenget No 12B Seminyak Bali Ph: +62361 4737 671. A Cuban restaurant serving a mix of Cuban, Spanish and Latin cuisine. Open for everyday from 4pm till late. For more photos and restaurant reviews for Cubana Bar & Grill Restaurant click here. 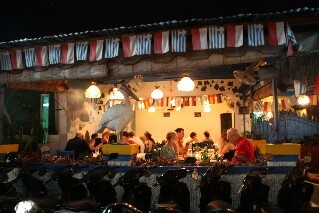 Mykonos Greek Restaurant (1 review) Jalan Oberoi Seminyak Bali Ph: 733 253. Open 7 days a week from 11am - midnight. Serving a great range of traditional Greek cuisine. With free WiFi internet access.For more information for Mykonos Greek Restaurant click here. 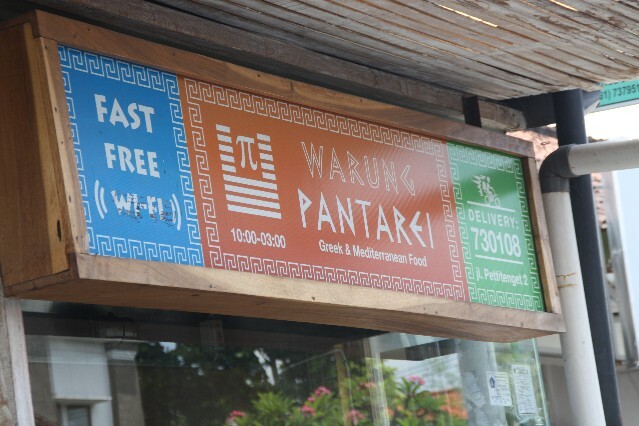 Warung Pantarei Greek & Mediterranean Restaurant (reviews) Jalan Petitenget Seminyak Ph: +62 361 730 108. Dine in, take away or home delivery. Free WiFi internet access.For restaurant reviews for Warung Pantarei Greek Restaurant click here. 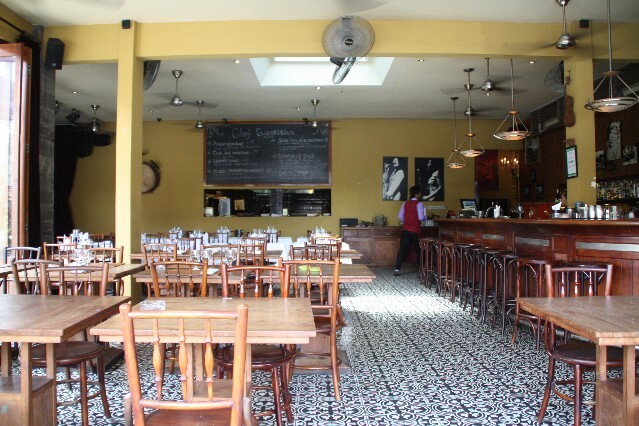 Metis French Restaurant (reviews) Jalan Seminyak Ph: One of the best restaurants in Bali. Serving traditional French and Mediterranean cuisine.For more photos and restaurant reviews for Metis French Restaurant click here. 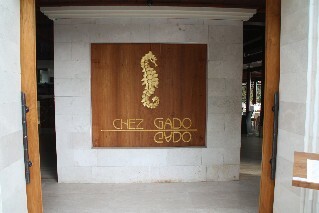 Chez Gado Gado Restaurant (reviews) Jalan Camplung Tanduk No 99 Seminyak Ph: +62 361 736 966. Located directly across the road from Anantara Resort. With great views over Seminyak Beach. For more photos and restaurant reviews for Chez Gado Gado Restaurant click here. 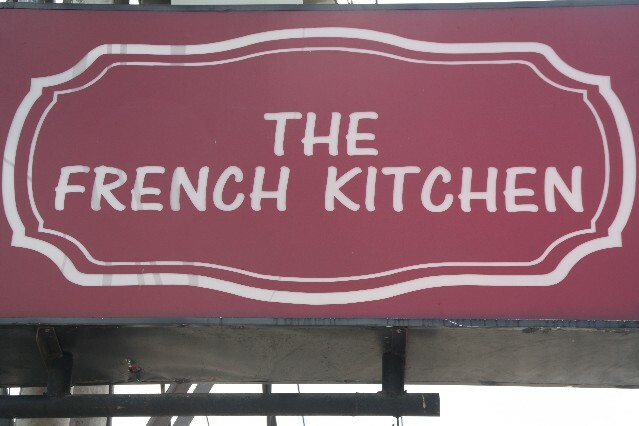 The French Kitchen (reviews) Jalan Petitenget 2X Seminyak Ph: +62 361 847 5394. Located in the northern part of Seminyak. For restaurant reviews for The French Kitchen click here. Queen's Tandoor Indian Cuisine (1 review) at Jl. Raya Seminyak 73 with traditional Indian chefs service dishes from all over India. Ph: (0)361 732 770. With free WiFi internet access. Just ask the waiter/waitress for the password.For more photos and restaurant review for Queen's Tandoor Indian Restaurant click here. 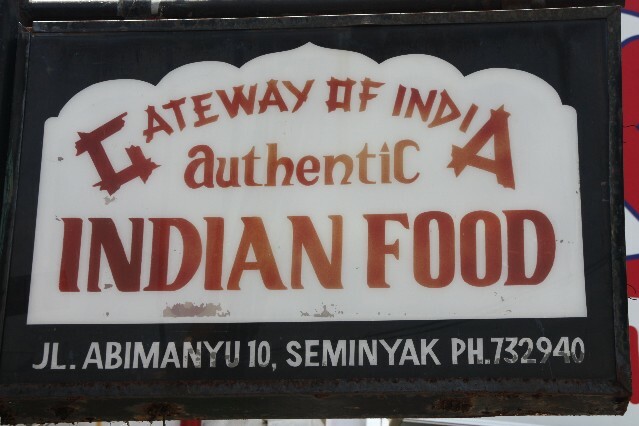 Gateway of India Restaurant(reviews) Jalan Abimanyu No 10 (formerly Dhyana Pura) Seminyak Ph: +62 361 732 940. Open 7 days a week from 12 noon to 12 midnight.For restaurant reviews for Gateway of India click here. La Lucciola Italian Restaurant (1 review) Jalan Petitenget Seminyak Ph: +62 361 730 838. 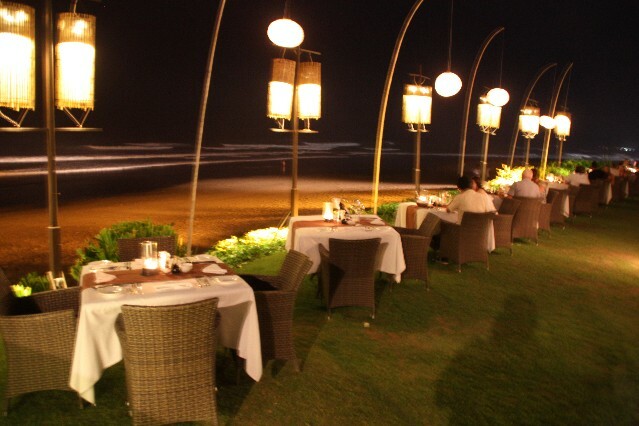 A fine dining Italian restaurant located right next to Seminyak beach, next door to The Samaya Resort. For more photos and restaurant reviews for La Lucciola Italian Restaurant click here. 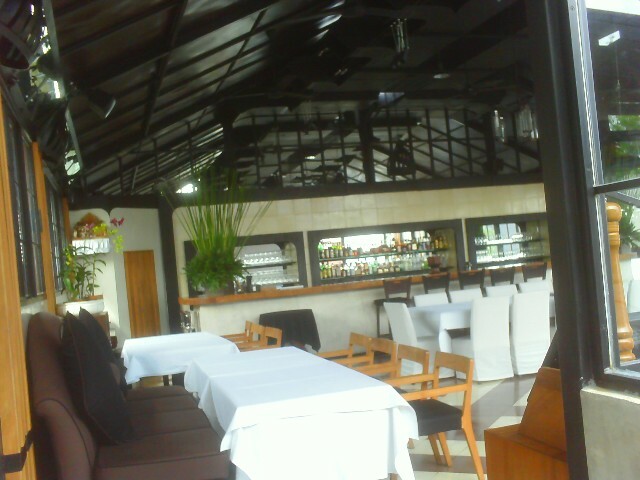 Trattoria Italian Restaurant (reviews) Jalan Laksmana 100x Seminyak Ph:(0361) 737 082. A casual dining restaurant serving traditional Italian cuisine including pizza and pasta. With 2 locations on Jalan Oberoi just 50 meters apart. Open for lunch and dinner 7 days a week from 11am - 11.30pm. For more photos and restaurant reviews for La Rustica click here. La Rustica Cucina Italiano Restaurant(reviews) Jalan Batu Belig Seminyak Ph: +62 361 737 812. Located in the northern section of Seminyak close to the corner of Jalan Petitenget. Serving a great range of Italian pasta and pizza. With free WiFi internet access. Open for lunch and dinner 7 days a week. For more photos and restaurant reviews for La Rustica click here. Kebun Zibiru Italian Restaurant (reviews) Jalan Drupadi No 7 Seminyak Bali Ph: (0361) 733 265. A classy restaurant serving authentic Italian cuisine and Mediterranean food. 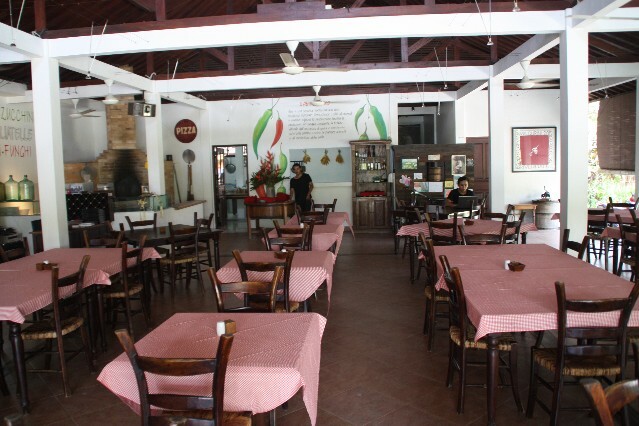 For photos and restaurant reviews for Kebun Zibiru Italian Restaurant click here. 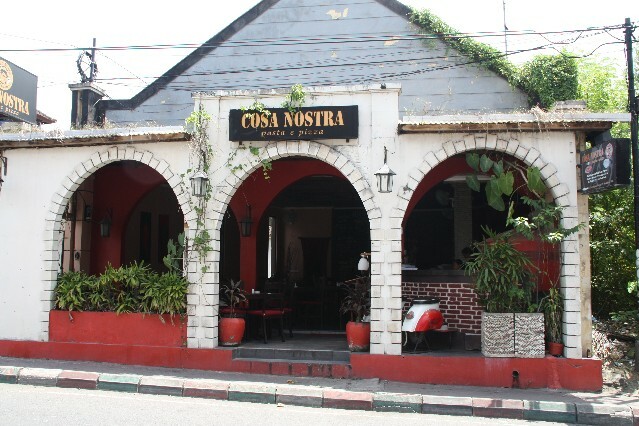 Cosa Nostra Pasta & Pizza Restaurant (reviews) Jalan Dhyana Pura No 17 Seminyak Ph: +62 361 877 0433. Located in the heart of Seminyak village. Dine in, take away or delivery available. Free WiFi internet access. For restaurant reviews for Cosa Nostra click here. 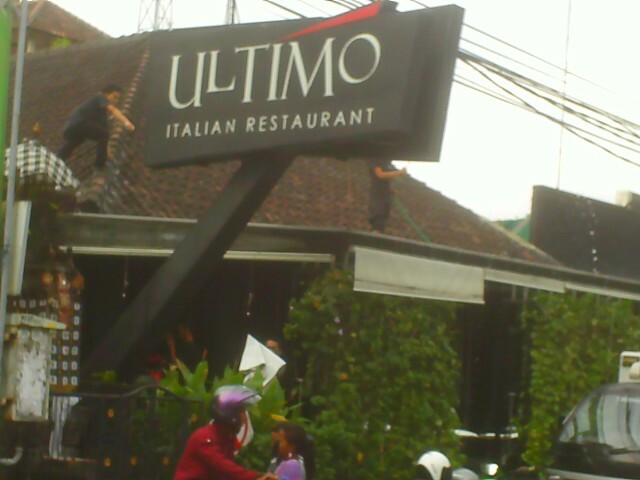 Ultimo Italian Restaurant (reviews) Jalan Kayu Aya 104X Oberoi Seminyak Bali Ph: (0361) 737 202. Open for lunch and dinner 7 days a week. For photos and restaurant reviews for Ultimo Italian Restaurant click here. Warung Italia Pizzeria Restaurant (reviews) Jalan Kunti 2 Seminyak Ph: +62 361 737 437. 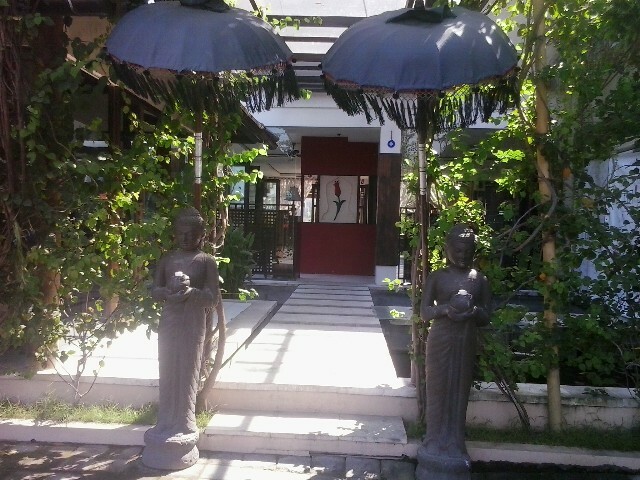 Located in the heart of Seminyak, just off Jalan Raya Seminyak. Serving a great range of pizza and pasta. Dine in, take away or home delivery. For restaurant reviews for Warung Italia Pizzeria click here. 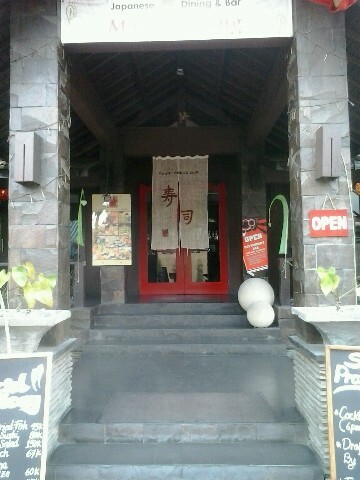 Dahana Japanese Restaurant (1 reviews) Jalan Petitenget 98 Seminyak Ph: (0361) 473 0131. 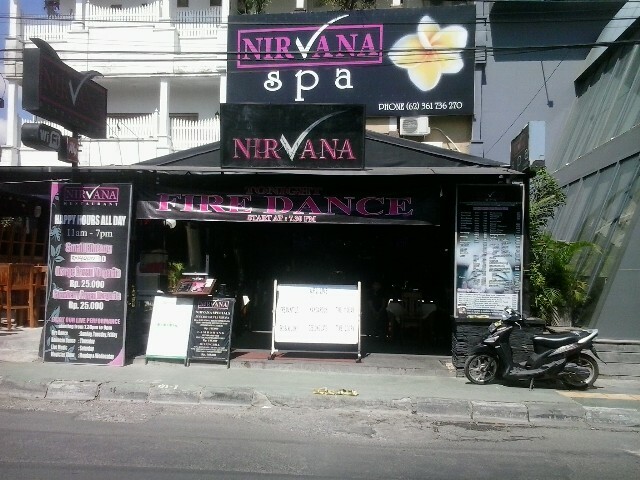 Located directly across from Warung Eny in the northern part of Seminyak. Open 7 days a week for lunch and dinner. 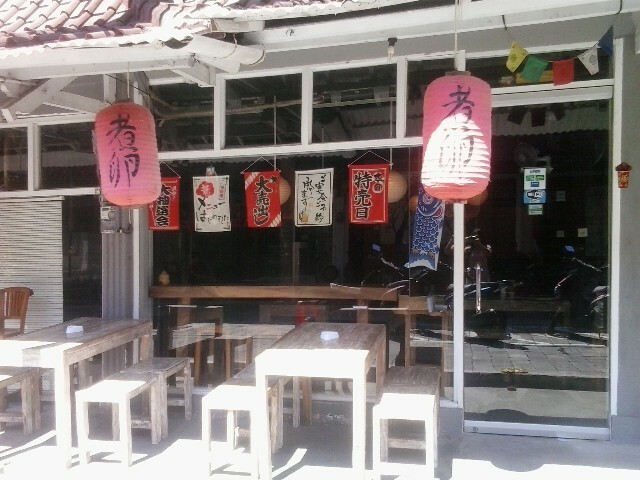 This restaurant does not look anything like a Japanese restaurant though the food is probably the best and most authentic Japanese food in Seminyak and Bali. Highly recommended. For more photos and information for Dahana Japanese Restaurant click here. 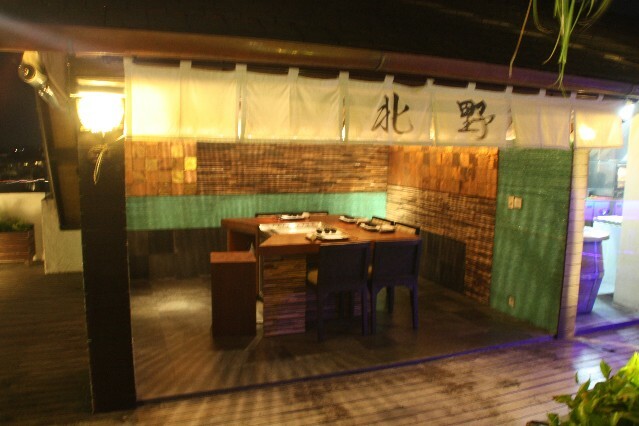 Kuni's Japanese Restaurant (1 review) Jalan Laksmana 80 Seminyak Bali Ph: 730 531. Serving traditional Japanese cuisine. For more photos and information for Kuni's Japanese Restaurant click here. Ryoshi Japanese Restaurant(1 reviews) Jalan Raya Seminyak Bali Ph: 731 152. 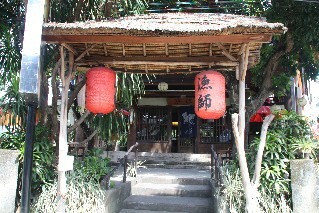 One of the best known Japanese Restaurants in Bali. For more information about Ryoshi Japanese Restaurant click here. Zushiya Modern Japanese Dining Restaurant (reviews) Jalan Raya Seminyak 14 Seminyak Bali Ph: (0361) 366 1255. Open 7 days a week from 11am - 10pm. For more photos and restaurant reviews for Zushiya Modern Japanese Restaurant click here. 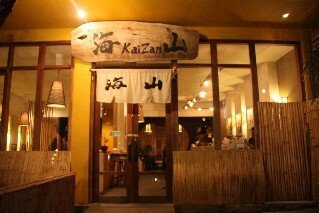 Kaizan Japanese Restaurant (reviews) Jalan Laksmana No 33 Seminyak Ph: +62 361 747 2324. Serving a combination of Japanese and Korean cuisine. Shabu-Shabu and Korean BBQ are their specialty For more photos and restaurant reviews for Kaizan Japanese Restaurant click here. Kitano Teppanyaki Japanese Restaurant (reviews) L Hotel Jalan Petitenget Seminyak Ph: +62 361 894 7898. Located next to the Luna Rooftop Bar on the top floor of the L Hotel in the northern section of Seminyak. With one teppanyaki table which fits up to 6 people. For more photos and restaurant reviews for Kitano Teppanyaki Restaurant click here. Maya Sayang Sushi Dining Bar (reviews) located within Maya Sayang Villas Jalan Mertasari No 1 Seminyak Bali Ph: (0361) 732 230. Open 7 days a week for lunch and dinner. Open from 11am - midnight. For more photos and restaurant reviews for Maya Sayang Dining Bar click here. 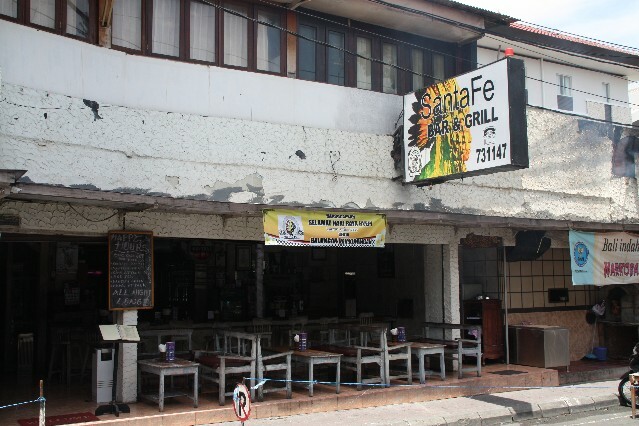 Santa Fe Bar and Grill (reviews)Jalan Abimanyu No 11A Seminyak Ph: +62 361 731 147. Serving a range of Mexican cuisine. Open 7 days a week from 10am - 3am. Live music in the evenings. Happy hour - buy one get one free - all night long.For restaurant reviews for Santa Fe Bar and Grill click here. 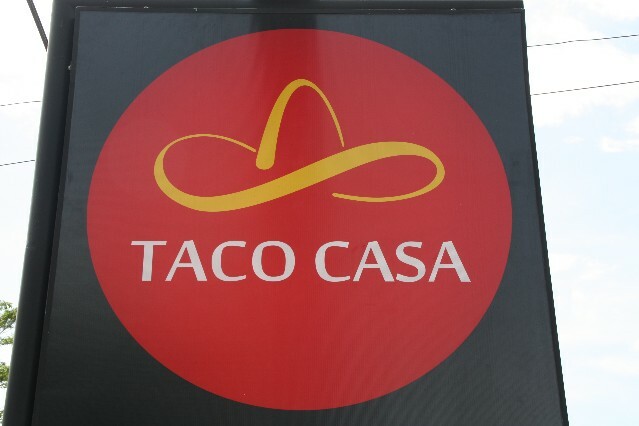 Taco Casa Mexican Restaurant (reviews) Jalan Petitenget Seminyak Ph: +62 361 916 1919. Located at the northern end of Seminyak. Open 7 days a week from 11am - 10pm. For restaurant reviews for Taco Casa Mexican Restaurant click here. 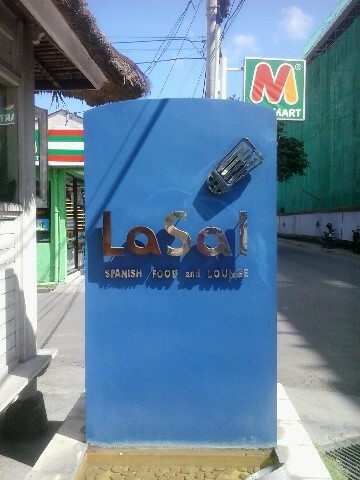 La Sal Spanish Restaurant and Lounge (reviews) a romantic Spanish restaurant located on Jalan Drupadi II No 100 Seminyak Bali Ph: (0361) 738 321. Serving traditional Spanish food including tapas, paella, fresh seafood dishes and BBQ. For more photos and restaurant reviews for La Sal Spanish Restaurant click here. Wild Orchard Thai Restaurant (reviews) Anantara Resort Jalan Abimanyu Seminyak Ph: +62 361 737 773. Open for breakfast lunch and dinner. For restaurant reviews for Wild Orchard Thai Restaurant click here. 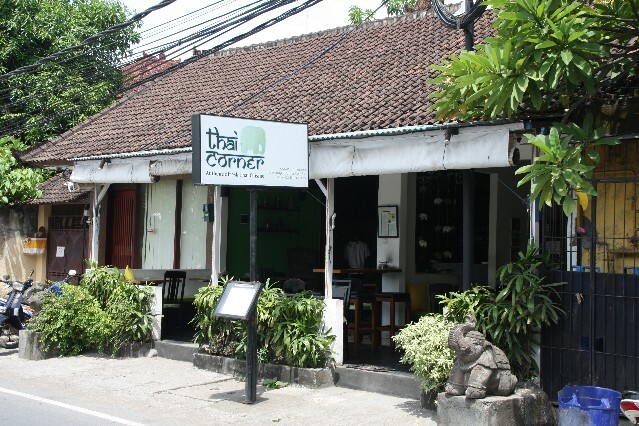 Thai Corner Restaurant (reviews) Jalan Petitenget 10 Seminyak Ph: +62 361 863 8927. Located right next door to the L Hotel, serving cheap traditional Thai cuisine. Open for lunch and dinner 7 days a week. For restaurant reviews for Thai Corner restaurant click here. Tulip Turkish Restaurant (reviews) the only Turkish restaurant in Bali, located on Jalan Petitenget in the northern part of Seminyak. Serving traditional Turkish food and a relaxed setting. For photos and restaurant reviews for Tulip Turkish Restaurant click here. 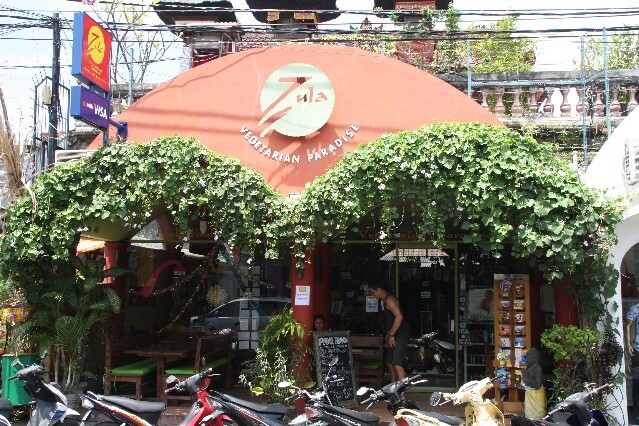 Zula Vegetarian Paradise Restaurant (reviews) Jalan Abimanyu No 5 (formerly Dhyana Pura) Seminyak Ph: +62 361 732 723. 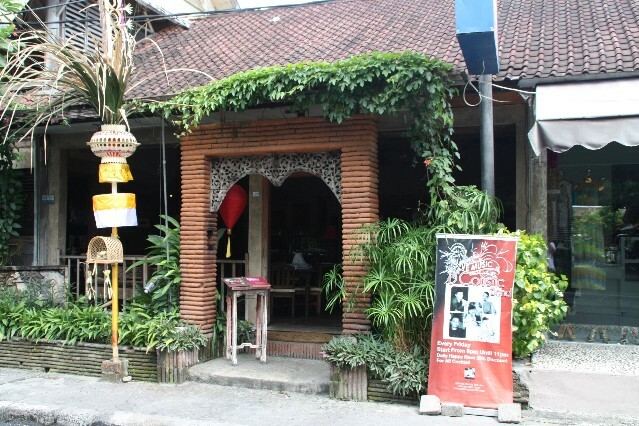 Located in the heart of Seminyak village, serving up a great range of Vegetarian cuisine. Open for lunch and dinner 7 days a week. For restaurant reviews for Zula Vegetarian Paradise Restaurant click here.